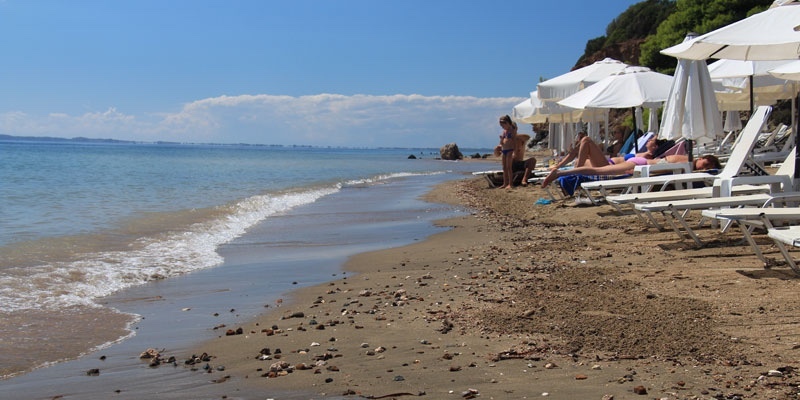 Gea beach is about a kilometer west of Psakoudia in the direction of Gerakini. There is a beach bar that sets up each year on this beach and attracts a lot of people. The beach is hidden from the road which is above on the cliff. Once you are down on the beach you won’t even hear the cars from the road above. 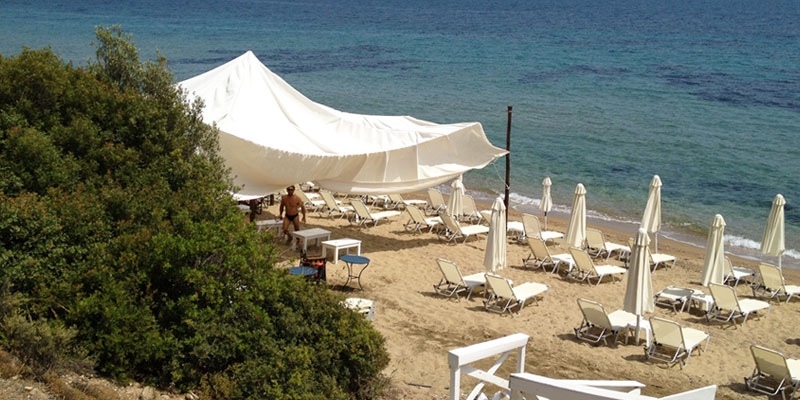 Beach organization is from the beach bar with sun-beds and umbrellas that are given to clients of the bar. Gea beach is a sand beach. The sand turns to pebble at some places in the sea bottom so swimming shoes are recommended. The water is clear and gradually gets deeper. All day sunshine and the cliff protects the beach from wind. The beach bar is popular. Can get crowded in summer. Driving from Thessaloniki it is about 1 kilometer before you enter Psakoudia from the west. You can pull off the main road and park in a dirt parking lot. 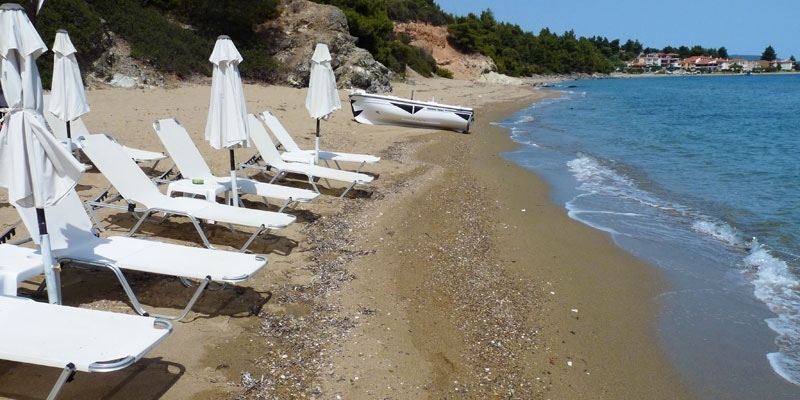 At the end of the parking – in the direction of Psakoudia – are steps for you to descend to the beach. Not a bad place to stop for an afternoon swim and beer.